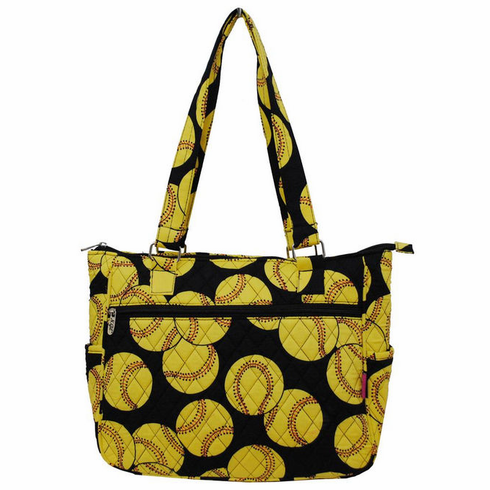 Softballs on Black Quilted Purse / Handbag. Measures appx. 14"(L) x 11"(H) x 4"(W). Inside Zipper Pocket with Storage on Lining. 2 Open Pockets on Sides.